After a career of teaching English, Liz began writing poetry nine years ago and her poems have since been published in several Australian journals and anthologies. 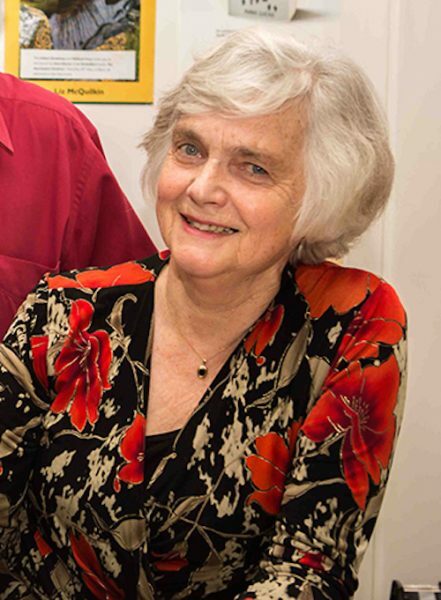 She considers herself fortunate to have had wonderful guidance from poet Gina Mercer, and to belong to a group of five Hobart poets whose manuscript won the 2010 FAW National Community Award. It was published a year later (see below). She is currently working towards a second solo collection of poems. Of Things Being Various, a collection of poems by Karen Knight, Liz McQuilkin, Liz Winfield, Christiane Conésa-Bostock and Megan Schaffner, (40 Degrees South Publishing, 2011). The Nonchalant Garden (Walleah Press, 2014).